Stronger muscles, stronger bones, better cardiovascular health, high calorie burn- these are just a few of the benefits you can get from running. As beneficial as it can be, many face a challenge that may cause them to stop their running routine. Indeed, the discomfort that results from aching teeth when running is something to worry about but the good news is the answer isn’t as complicated as you might think. 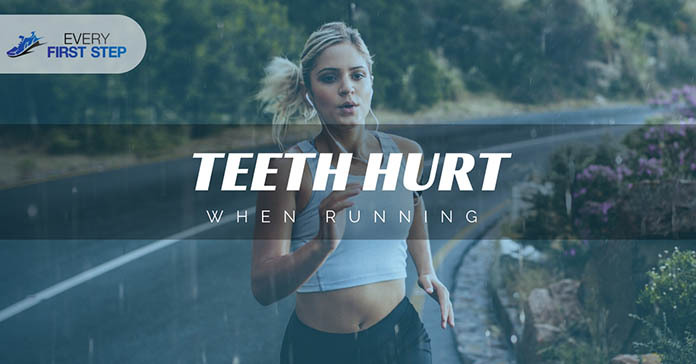 We have compiled four major reasons for aching teeth when running to make sure you address the issue and get back to the routine you love as soon as possible. Why do My Teeth Hurt When I Run? Before we get into the reasons for aching teeth when running, let’s first identify how this condition feels like. People experience variations of this tooth pain from mild to sharp to excruciating or pulsating. Often, the condition worsens during the summer because of the heat. Aside from pain in the teeth, runners may also experience jaw or ear pain. The pain is usually experienced either during or after running. What causes this condition? Is it serious? Also known as bruxism, teeth grinding is commonly done unconsciously during sleep and is related to stress. Causes include sleep apnea, antidepressant drugs, drinking alcohol or smoking and using drugs. People with this disorder tend to clench their jaw when they are awake when they are in situations that require concentration. Constant grinding of teeth can cause jaw pain, wear down your teeth and trigger ear and headaches. People who suffer from bruxism, are likely to clench their jaw when running especially on difficult terrain such as when running uphill or speeding up. This may put tension on their teeth and cause a toothache. Infection in the mouth caused by bacteria can cause an array of complications. Bacteria may eat through all the layers of your teeth starting from the enamel to the dentin and finally the dental pulp where all your nerves are. The pulp is also where blood is supplied to your teeth. Bacteria may cause the nerve to become inflamed which can make your teeth more sensitive to pain. When you run, the blood flow in your body increases and this contributes to the inflammation that may already exist in your teeth. These factors combined cause your teeth to hurt when you run. An inflammation of the tissue lining the sinuses triggered by blockage or germs and causing infection may start as innocent as a cold but progress to something more serious. According to statistics, about 35 million Americans get sinusitis at least once a year. Among the symptoms of sinusitis is dental pain. Since the u﻿pper back teeth are close to the sinuses, toothache from that area of the mouth is most likely to be caused by a sinus infection. This is often diagnosed when there are no signs of the two aforementioned more common causes. This cause is closely related to the first two- grinding of teeth and tooth infection. People who grind their teeth wear out their enamel making them prone to sensitivity to extreme temperatures. Bacteria eating the layers of teeth can also cause this sensitivity. Another cause may be using toothpastes that contain sodium pyrophosphate, a common whitening compound. In time, constant use of such toothpastes may cause wear and tear on teeth. It is not difficult to identify whether you have sensitive teeth- if drinking hot coffee or eating ice-cream causes you pain, you probably suffer from this condition. When you run, you are exposed to different weather conditions that may trigger your tooth sensitivity and cause toothache. In addition, sensitivity to the external weather can also affect your mouth especially your throat. Running in cold weather for example can irritate the nasal passage causing your throat to hurt. In extreme cases, you may end up freezing your sinus cavities which may trigger long term problems. To avoid this, dress according to the weather outside or opt to run indoors instead during cold weather. Experiencing toothache pain when you run may cause you a lot of distress. The good news is that the causes are both common and treatable. Whether you have the habit of grinding teeth, have an infection, o﻿r oversensitive teeth, you can get treatment. You don’t need to let this stop you from doing what you love. ​In addition to the irritation of teeth hurting when you run, you may also experience ears hurting when you run. This condition is often caused by a hole or tear in the eardrum or an ear infection. Some habits such as using earplugs regularly can also trigger the condition. Other causes are GERD or constricted blood vessels. What has helped you cope with your toothache when running? We’d like to hear your story in the comments below.